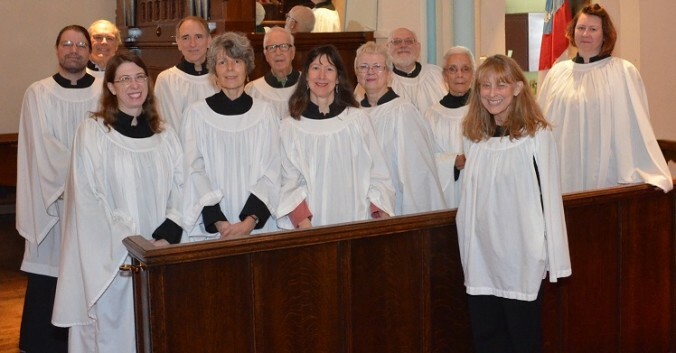 The mission of the Choir of St. Luke’s is first, and foremost, to assist the congregation in singing hymns and liturgy at the 10:00am service. The choir also sings music reflective of the English Church and our Anglican heritage, while exploring music from different times and places as well. The choir welcomes one and all to sing! While an ability to read music helps, it is by no means required. Choir rehearsal takes place on Thursday evenings from 7:00-9:00pm. New singers are ALWAYS welcome! Simply come a few minutes prior to rehearsal to receive music and other materials. Performance with First Presbyterian and Bethlehem CC choirs. Marijim Thoene is a native Californian. She received a B.M. degree in Liturgical Music from Peabody Conservatory, an M.M. in Organ Performance from the University of Southern California and a M.M and D.M.A. in Church Music/Organ Performance from the University of Michigan. She has also studied at the Queen’s College and University College in Oxford, the Organ Academy in Pistoia, Italy and at the University of Salamanca. She has served as organist and minister of music in churches in Baltimore, Oxfordshire, San Diego, Ann Arbor and New Orleans, and has been on the faculty at the University of New Orleans, and Our Lady of Holy Cross College in New Orleans.